Get an overview of HarperDB's features and their benefits. See why HarperDB is a strong fit for IoT projects and architectures. Learn how to get real-time insights from the edge. See how HarperDB can be deployed next to a traditional RDBMS like Oracle or SAP HANA to handle unstructured data, improve performance, and reduce cost. 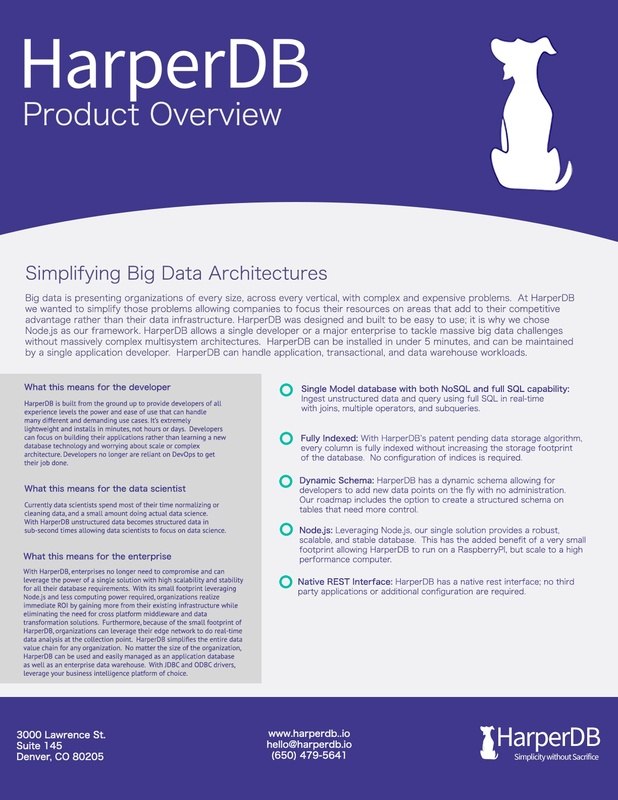 A Product overview of the HarperDB HTAP database. See how HarperDB works with clustering and replication to be used for scalability, failover, data transport, and/or backups.